Whilst there has always been a market for aesthetic dentistry, there has been a steep rise in the number of dental practices offering ‘quick fix’ smile makeovers. A recent article in ‘The Dentist’ magazine suggests that there has been a 34% rise in cosmetic dentistry since 2009. Whilst it is understandable that people leading busy lifestyles might find a quick and convenient solution appealing, we in the Dental Negligence Team know only too well that quick does not always mean safe. 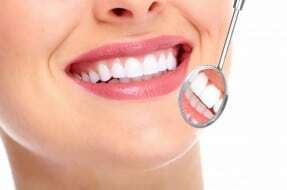 Simply put, cosmetic dentistry is dental treatment aimed at improving the appearance of a patient’s teeth rather than for therapeutic purposes. Treatments include orthodontic work such as ‘Invisalign’ braces (invisible braces to realign the teeth), crowns, veneers and teeth whitening through bleaching. The treatments are invariably offered privately and can be very expensive, often running to thousands of pounds. But these cosmetic procedures are not without risk. Preparing a tooth for a veneer for example involves filing down the tooth enamel in order to make room for the veneer. Not infrequently teeth can be ‘over prepared’ (too much enamel removed) leading to micro-cracks in the underlying dentine. This in turn can damage the nerve and lead to ‘pulp death’. When the tooth pulp dies, further intervention in the form of root canal treatment is required to prevent the tooth being lost, and this is only a temporary solution – root filled teeth have a limited lifespan. Once the tooth is lost it would need to be replaced with a denture or an implant (the latter option is more permanent, but can cost also cost up to £3,000). Far from improving the cosmetic appearance of a patient’s teeth, cosmetic treatment can result in the unnecessary damage of perfectly healthy teeth. This can mean more treatment, more expense, and an eventual outcome which may not match a patient’s original aesthetic requirements. Alongside the rise in cosmetic dentistry, The Dental Negligence Team has noticed a steady increase in the number of claims being brought against dentists who have failed to place the dental health of patients ahead of costly treatments plans aimed at giving the patient a ‘Hollywood Smile’. I have heard from a number of my clients that the risks of the cosmetic treatment were not properly discussed with them and that they feel cheated, as their teeth are in a worse condition now than when they first started. One of my clients paid in the region of £7,000 for a number of crowns and veneers in order to improve the aesthetic appearance of her smile. She has subsequently found that a large number of her (previously healthy) teeth have now been damaged and will need to be root filled, or extracted and replaced with implants. The estimated cost of putting right the treatment undertaken by the cosmetic dentist was almost double that of the original treatment. The smile makeover is understandably enticing for patients. However, I believe that many dentists are failing in their duty to inform patients of the risks of the procedures, properly assess the patients as to their suitability for treatment, and taking unnecessary risks with patients’ dental health. In my view, more has to be done to ensure that dental health rather than aesthetic appearance remains the priority. If you are concerned that you may have received negligent cosmetic dental treatment, please contact a member of the Dental Negligence Team, who will be happy to advise you on your particular circumstances and whether you may have grounds for a claim for compensation.